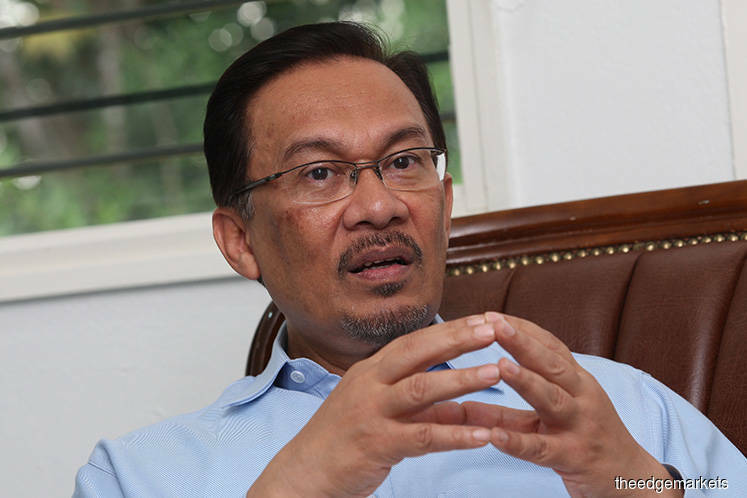 KUALA LUMPUR (Feb 7): Datuk Seri Anwar Ibrahim has described the rumours about Cabinet reshuffle allegedly to take place after the Chinese New Year celebration as something deliberately created and sensationalised by certain quarters to cause tensions in Pakatan Harapan (PH). The PKR president said the rumours had also been dismissed by Prime Minister Tun Dr Mahathir Mohamad (yesterday). “Even Tun Dr Mahathir said that we need not entertain such rumours, I have also met with (Economic Affairs Minister) Datuk Seri Mohamed Azmin Ali after his surgery.